In song and stories Linda Mironti explores the notion that age has nothing to do with staying young. . . or does it? Come to hear her and see what you think! Linda’s first voice teacher was her Grandmother Angelina who taught her Italian folk songs while showing her how to make gnocchi and pasta. 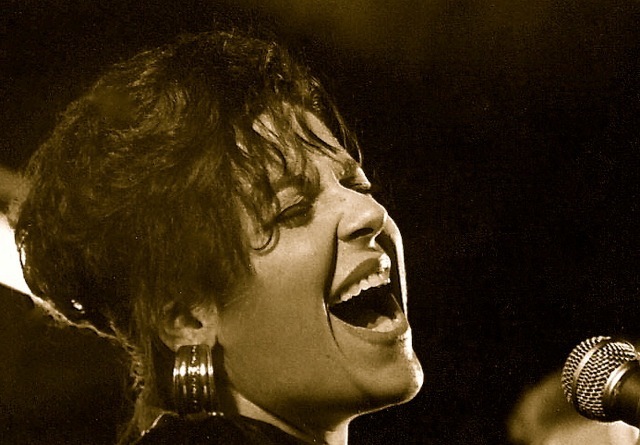 Ironically, for the 7 years she performed in Italy, she sang mostly jazz, rhythm and blues, and original pop material, as she wrote lyrics for herself and many other artists. It wasn’t until her return to New York City in the mid-90s that she was able to include her favorite Italian songs in her performances. Linda has been organizing creative workshops in the arts in Italy for the past 20 years and singing anywhere she happens to be, including here in her new home in Sandisfield. Reserve your seat now—-you’re not getting any younger!